Our artists capture the spirit of the wild and bring it into our homes with beautiful artworks like this. 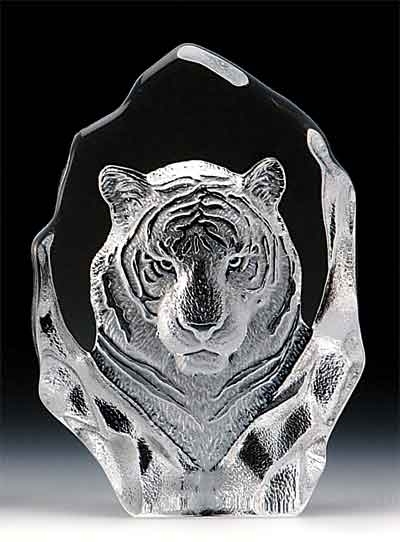 This stunning tiger head leaded crystal glass sculpture will brighten up your living room or office with charm and inspiration. The detail and craftsmanship is unparalleled. The 3 dimensional image seems to float in mid air. It's almost as if these magnificent creatures come alive right before your eyes.